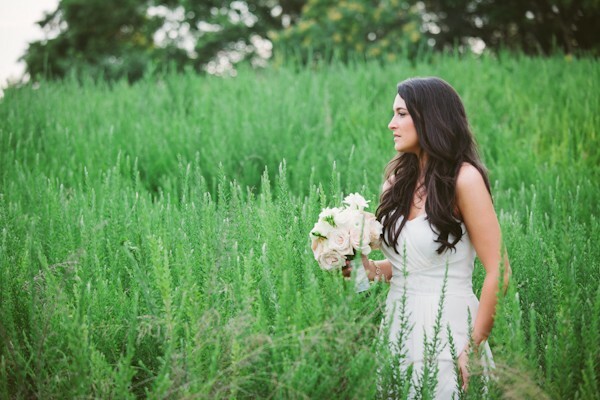 Intimate Charlotte North Carolina Real Wedding. An intimate wedding is romantic. When Angela and Rich got married, they were joined by only 15 friends and family members who witnessed them exchange their vows. Even though they did not have a lot of guests, there was still lots of glitz. Angela wore an absolutely stunning gown. It was strapless with a jeweled waistband. But that was not all. It had layers on the skirt that made it look like petals on a flower. 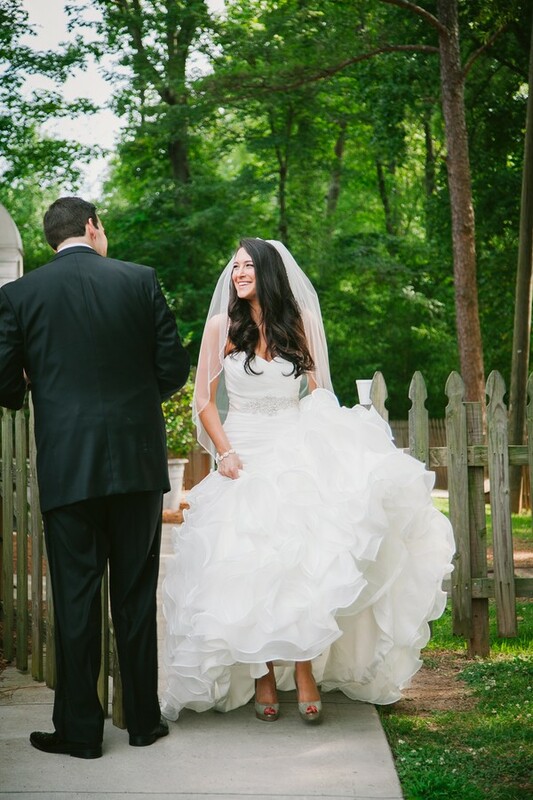 She had her hair cascading over her shoulders and she also wore a veil. Her jewelry choices were earrings and a bracelet. Her shoes were silver just like the waistband which was a nice touch. But that was just the dress for the ceremony. Angela also had another dress that she wore later that was less ornate. It was a sleeveless dress with spaghetti straps that was simple and classy. Rich only had one ensemble. He wore a black tuxedo with black bow tie. He was the perfect complement to her in both of her outfits. The venue that they selected was very scenic and provided the perfect backdrop for this intimate affair. The ceremony took place indoors but they were able to create the beauty of the venue as they took pictures in various settings outside. They were by the entrance, by the stairs or on the veranda. But the most spectacular pictures were as they walked through the grass. Rich and Angela showed that even if you plan a smaller intimate wedding, you can still have an incredible affair. Big does not necessarily mean better.